In 2010 became an ANU Visiting Fellow working with Andrew Roberts at the Research School of Earth Sciences. In February 2011 I became a Research Fellow at RSES, working on the ARC Discovery Project “Australian Dust: its response to, and role in, climate change”. Since 2012, I have also worked on a number of ARC Discovery projects including; "How do sediments become magnetised? Construction of an empirical-numerical framework" and "Driving a palaeomagnetic revolution: geophysical and environmental signals from magnetic biominerals" and "Unmixing first-order reversal curve (FORC) diagrams for quantitative environmental analysis ". You can find more information about these projects on my Research page. My research focuses on rock magnetism and its application to environmental problems. I'm also working on a number of collaborative projects to develop statistical methods appropriate for palaeomagnetic and rock magnetic analysis. The following sections describe my current research. The impact of Australian dust on climate is poorly known even though Australia is a major continental-scale dust source. Wind-transported dust is rich in iron-bearing minerals that can be quantified using rock magnetic techniques. These minerals provide key information concerning dust sources areas, transport and deposition, which in turn reflect large-scale environmental processes. Through the characterization of dust preserved in marine sediments cores, we are providing detailed reconstructions of Australian climate change over the last two million years. During their formation in the geological past, sediments preserved information concerning the ambient geomagnetic field. Although this information is used commonly for palaeomagnetic purposes, our understanding of how sediments preserve a geomagnetic signal remains limited. We are currently constructing an empirical and numerical framework in which to represent sedimentary magnetizations, with the aim of understanding signal formation and the palaeomagnetic information it can provide. This project has involved studying a number of sediment cores from different environments to elucidate how the geomagnetic field is recorded in sediments. Figure 1. Transmission electron microscope image of marine sediment containing abundant magnetite magnetofossils. The magnetic particles have a variety of regular morphologies that are characteristic of the type of bacteria they came from. 3) if magnetofossil chemistry can constrain the depth of sedimentary palaeomagnetic signal acquisition. Natural materials typically contain a number of magnetic mineral subpopulations with different origins that reflect a complex history of multiple environmental processes. Thus, it is essential that the information carried by such mixed magnetic mineral assemblages can be quantified in terms of environmentally meaningful parts. Magnetic unmixing techniques are designed to perform this quantification and can thus act as a cornerstone for the interpretation of complex environmental magnetic data. Over the past decade I have developed a number of numerical methods for magnetic unmixing that are based on so-called "unsupervised" approaches. Many of the natural materials studied in rock and environmental magnetism contain a mixed assemblage of mineral grains with a variety of different origins. Mathematical decomposition of the bulk magnetic mineral assemblage into populations with different properties can therefore be a source of useful environmental information. Software: IRM-Unmixer is a stand-alone application which will help you to produce a linear mixture model for your own IRM acquisition data. Please contact me by email if you would like a copy of IRM-Unmixer. Diffuse reflectance spectroscopy (DRS) determines the “colour” of sediment across a given range of wavelengths. A Minolta 2002C instrument is used routinely on research cruises to measure percentage reflectance at 10 nm increments across the visible wavelength band (400 and 700 nm). The DRS spectra of natural sediments do however represent a composite signal of the different constituent minerals; therefore it is necessary to “unmix” the data to obtain information on specific materials. Software: DRS-Unmixer is a stand-alone application which will help you to produce a linear mixture model for your own DRS data sets. Please contact me by email if you would like a copy of DRS-Unmixer. Heslop, D., Roberts, A.P. (2016). Analyzing paleomagnetic data: To anchor or not to anchor? Journal of Geophysical Research, 121, doi:10.1002/2016JB013387. Heslop, D., Roberts, A.P. (2016). Estimation and propagation of uncertainties associated with paleomagnetic directions. Journal of Geophysical Research, 121, doi:10.1002/2015JB012544. Zhang, R., Necula, C., Heslop, D., Nie, J. (2016). Unmixing hysteresis loops of the late Miocene-early Pleistocene loess-red clay sequence. Scientific Reports, 6, doi:10.1038/srep29515. Chang, L., Heslop, D., Roberts, A.P., Rey, D., Mohamed K.J. (2016). Discrimination of biogenic and detrital magnetite through a double Verwey transition temperature. Journal of Geophysical Research, 121, doi:10.1002/2015JB012485. Hu, P., Jiang, Z., Liu, Q.S., Heslop, D., Roberts A.P., Torrent, J., Barron, V. (2016). Estimating the concentration of aluminum-substituted hematite and goethite using diffuse reflectance spectrometry and rock magnetism: feasibility and limitations. Journal of Geophysical Research, 121, doi:10.1002/2015JB012635. Jiang, Z.X., Liu, Q.S., Zhao, X., Roberts, A.P., Heslop, D., Barron, V., Torrent, J. (2016). 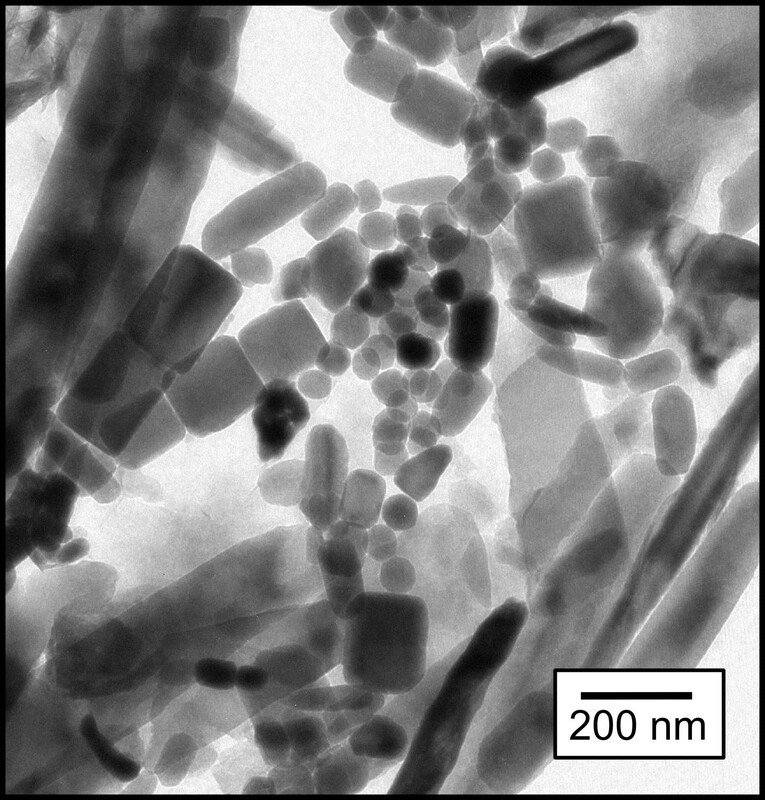 Magnetism of Al-substituted magnetite reduced from Al-hematite. Journal of Geophysical Research, 121, doi:10.1002/2016JB012863. Chang, L., Bolton, C.T., Dekkers, M. J., Hayashida, A., Heslop, D., Krijgsman, W., Kodama, Paterson, G.A., Roberts, A.P., Rohling, E.J., Yamamoto, Y., Zhao, X. (2016). Asian monsoon modulation of non-steady state diagenesis in hemipelagic marine sediments offshore of Japan. Geochemistry, Geophysics, Geosystems, 17, doi:10.1002/2016GC006344. Chang, L., Roberts, A.P., Heslop, D., Hayashida, A., Li, J., Zhao, X., Tian, W., Huang, Q. (2016). Widespread occurrence of silicate-hosted magnetic mineral inclusions in marine sediments and their contribution to paleomagnetic recording. Journal of Geophysical Research, 121, doi:10.1002/2016JB013109. Nie, J., Garzione, C., Su, Q., Liu, Q.S., Zhang, R., Heslop, D., Necula, C., Zhang, S., Song, Y., Luo, Z. (2016). 100,000 year precipitation cyclicity in a late Miocene lake from Northeast Tibet. Science Advances (in press). Paterson, G., Heslop, D., Pan, Y. (2016). The pseudo-Thellier palaeointensity method: new calibration and uncertainty estimates. Geophysical Journal International, 207, 1596-1608. Plaza-Morlote, M., Rey, D., Santos, J.F., Ribeiro, S., Heslop, D., Bernabeu, A., Mohamed, K.J., Rubio, B., Martins, V. (2016). Southernmost evidence of large European Ice Sheet-derived freshwater discharges during the Heinrich Stadials of the Last Glacial Period (Galician Interior Basin, Northwest Iberian Continental Margin). Earth and Planetary Science Letters, 457, doi:10.1016/j.epsl.2016.10.020. Marino G., Rohling E.J., Rodríguez-Sanz L., Grant K.M., Heslop D., Roberts A.P., Stanford J.D., Yu J. (2015). Bipolar seesaw control on last interglacial sea level. Nature, 522, 197-201. Weltje G.J., Bloemsma M.R., Tjallingii R., Heslop D., Röhl U., Croudace I.W. (2015): Prediction of geochemical composition from XRF-core-scanner data: a new multivariate approach including automatic selection of calibration samples and quantitative uncertainties. In: Croudace I.W., Rothwell R.G. (Eds.) Micro-XRF studies of sediment cores: A non-destructive tool for the environmental sciences, 507-534. Larrasoaña J.C., Roberts A.P., Liu Q.S., R. Lyons, F. Oldfield, Rohling E.J., Heslop D. (2015). Source-to-sink magnetic properties of NE Saharan dust in Eastern Mediterranean marine sediments: review and paleoenvironmental implications. Frontiers in Earth Science, 3, doi:10.3389/feart.2015.00019. Muxworthy A.R., Williams J., Heslop D. (2015). Testing the use of viscous remanent magnetisation to date flood events. Frontiers in Earth Science, 3, doi:10.3389/feart.2015.00001. Zhao X., Heslop D., Roberts A.P. (2015). A protocol for variable-resolution first-order reversal curve (FORC) measurements. Geochemistry, Geophysics, Geosystems, 16, 1364-1377. Heslop D. (2015) Numerical strategies for magnetic mineral unmixing. Earth-Science Reviews, 150, 256-284. Morley A., Heslop D., Rühlemann C., Mulitza S., Paul A., Schulz M. (2015): Detecting Holocene changes in the Atlantic Meridional Overturning Circulation: Integration of Proxy Data and Climate Simulations (DAMOCLES). In: Schulz M., Paul, A. (Eds.) Integrated Analysis of Interglacial Climate Dynamics (INTERDYNAMIC), SpringerBriefs in Earth System Sciences, 43-48. Hu P., Liu Q., Heslop D., Roberts A.P., Jin C. (2015). Soil moisture balance and magnetic enhancement in loess-paleosol sequences from the Tibetan Plateau and Chinese Loess Plateau. Earth and Planetary Science Letters, 409, 120-132. X. Pan, Z. Shen, A. P. Roberts, D. Heslop and L. Shi (2014). Syntectonic emplacement of Late Cretaceous mafic dyke swarms in coastal southeastern China: Insights from magnetic fabrics, rock magnetism and field evidence. Tectonophysics, 637, 328-340. L. Chang, A. P. Roberts, M. Winklhofer, D. Heslop, M. J. Dekkers, W. Krijgsman, J. D. Fitz Gerald and P. Smith (2014). Magnetic detection and characterization of biogenic magnetic minerals: A comparison of ferromagnetic resonance and first-order reversal curve diagrams. Journal of Geophysical Research, 119, 6136-6158, doi:10.1002/2014JB011213. A. P. Roberts, D. Heslop and X. Zhao (2014). Understanding fine magnetic particle systems through use of first-order reversal curve (FORC) diagrams. Reviews of Geophysics, 52, doi:10.1002/2014RG000462. K. M. Grant, E. J. Rohling, C. Bronk Ramsey, H. Cheng, R. L. Edwards, F. Florindo, D. Heslop, F. Marra, A. P. Roberts, M. E. Tamisiea and F. Williams (2014). Sea-level variability over five glacial cycles. Nature Communications, 5, 5076, doi:10.1038/ncomms6076. E. Ingham, D. Heslop, A. P. Roberts, R. Hawkins and M. Sambridge (2014). Is there a link between geomagnetic reversal frequency and paleointensity? A Bayesian approach. Journal of Geophysical Research, 119, 5290-5304, doi:10.1002/2014JB010947. M. J. Dekkers, D. Heslop, E. Herrero-Bervera, G. Acton and D. Krasa (2014). Insights into magmatic processes and hydrothermal alteration of in situ superfast spreading ocean crust at ODP/IODP Site 1256 from a cluster analysis of rock magnetic properties. Geochemistry, Geophysics, Geosystems, 15, 3430-3447, doi:10.1002/2014GC005343. D. Heslop, A.P. Roberts and L. Chang (2014). Characterizing magnetofossils from first-order reversal curve (FORC) central ridges. Geochemistry, Geophysics, Geosystems, 15, 2170-2179, doi:10.1002/2014GC005291. T. Ouyang, D. Heslop , A.P. Roberts , C. Tian , Z. Zhu , Y. Qiu , X. Peng (2014). Variable remanence acquisition efficiency in sediments containing biogenic and detrital magnetite: implications for relative paleointensity signal recording. Geochemistry, Geophysics, Geosystems, 15, 2780-2796, doi:10.1002/2014GC005301. A. Govin, C. Chiessi, M. Zabel, A.O. Sawakuchi, D. Heslop, T. Hörner, Y. Zhang and S. Mulitza (2014) Terrigenous input off northern South America driven by changes in Amazonian climate and the North Brazil Current retroflection during the last 250 ka, Climate of the Past, 10, 843-862. J.Nie, R. Zhang, C. Necula, D. Heslop, Q. Liu, L. Gong, S. Banerjee (2014). Late Miocene-early Pleistocene paleoclimate history of the Chinese Loess Plateau revealed by remanence unmixing. Geophysical Research Letters, 41, 2163-2168. D. Heslop, A.P. Roberts, R. Hawkins (2014). A statistical simulation of magnetic particle alignment in sediments. Geophysical Journal International, doi:10.1093/gji/ggu038. U. Proske, D. Heslop, S. Haberle (2014). A Holocene record of coastal landscape dynamics in the eastern Kimberley region, Australia. Journal of Quaternary Science, doi:10.1002/jqs.2691. D. Heslop, A.P. Roberts, L. Chang, M. Davies, A. Abrajevitch and P. De Deckker (2013). Quantifying magnetite magnetofossil contributions to sedimentary magnetizations. Earth and Planetary Science Letters, 382, 58-65, doi:10.1016/j.epsl.2013.09.011. L. Chang, M. Winklhofer, A.P. Roberts, D. Heslop, F. Florindo, M.J. Dekkers, W. Krijgsman, K. Kodama and Y. Yamamoto (2013). Low-temperature magnetic properties of pelagic carbonates: oxidation of biogenic magnetite and identification of magnetosome chains. Journal of Geophysical Research, 118, 1-17, doi:10.1002/2013/JB010381. A.P. Roberts, F. Florindo, L. Chang, D. Heslop, L. Jovane and J.C. Larrasoana (2013). Magnetic properties of pelagic marine carbonates. Earth-Science Reviews, 127, 111-139. D. Heslop and A.P. Roberts (2013). Calculating uncertainties on predictions of palaeoprecipitation from the magnetic properties of soils. Global and Planetary Change (in press), doi: 10.1016/j.gloplacha.2012.11.013. J.A. Collins, A. Govin, S. Mulitza, D. Heslop, M. Zabel, J. Hartmann, U. Rohl and G. Wefer (2013). Abrupt shifts of the Sahara-Sahel boundary during Heinrich stadials, Climate of the Past, 9, 1181-1191, doi: 10.5194/cp-9-1181-2013. A.P. Roberts, L. Tauxe and D. Heslop (2013). Magnetic paleointensity stratigraphy and high resolution Quaternary geochronology. Successes and future challenges. Quaternary Science Reviews, 61, 1-16, doi: 10.1016/j.quascirev.2012.10.036. C. Necula, C. Panaiotu, D. Heslop and D. Dimofte (2013). Climatic control of magnetic granulometry in the Mircea Vodă loess/paleosol sequence (Dobrogea, Romania). Quaternary International, 293, 5-14, doi: 10.1016/j.quaint.2012.03.043. J. Just, D. Heslop, T. von Dobeneck, T. Bickert, M.J. Dekkers, T. Frederichs, I. Meyer and M. Zabel (2012). Multi-proxy characterization and budgeting of terrigenous end-members at the NW African continental margin. Geochemistry, Geophysics, Geosystems, 13, Q0AO01, doi: 10,1029/2012GC004148. A.P. Roberts, L. Chang, D. Heslop, F. Florindo & J.C. Larrasoaña (2012). Searching for single domain magnetite in the ‘pseudo-single-domain’ sedimentary haystack: implications of biogenic magnetite preservation for sediment magnetism and relative paleointensity determinations, Journal of Geophysical Research, 117, B08104, doi:10.1029/2012JB009412, 2012. J. Lippold, S. Mulitza, G. Mollenhauer, S. Weyer, D. Heslop and M. Christl (2012). Boundary scavenging at the east Atlantic margin does not negate use of 231Pa/230Th to trace Glacial Atlantic overturning. Earth and Planetary Science Letters, 333-334, 317-331. D. Heslop and A.P. Roberts (2012). A method for unmixing magnetic hysteresis loops. Journal of Geophysical Research, 117, B03103, doi:10.1029/2011JB008859. A. Govin, U. Holzwarth, D. Heslop, L. Ford Keeling, M. Zabel, S. Mulitza, J. A. Collins and C.M. Chiessi (2012). Distribution of major elements in Atlantic surface sediments (36N-49S): imprint of terrigenous input and continental weathering. Geochemistry, Geophysics, Geosystems, 13, Q01013, doi:10.1029/2011GC003785. D. Heslop and A.P. Roberts (2012). Estimation of significance levels and confidence intervals for first-order reversal curve distributions. Geochemistry, Geophysics, Geosystems, 13: Q12Z40, doi:10.1029/2012GC004115. D. Heslop and A.P. Roberts (2012). Estimating best-fit binary mixing lines in the Day plot. Journal of Geophysical Research, 117, B01101, doi:10.1029/2011JB008787. D. Heslop and A. Paul (2011). Fingerprinting of the Atlantic meridional overturning circulation in climate models to aid in the design of proxy investigations. Climate Dynamics, doi:10.1007/s00382-011-1042-0. Y. Suganuma, J. Okuno, D. Heslop, A.P. Roberts, T. Yamazaki & Y. Yokoyama (2011). Post-depositional remanent magnetization lock-in for marine sediments deduced from 10Be and paleomagnetic records through the Matuyama-Brunhes boundary, Earth and Planetary Science Letters, 311, 39-52, 2011. A.P. Roberts, F. Florindo, G. Villa, L. Chang, L. Jovane, S.M. Bohaty, J.C. Larrasoaña, D. Heslop and J.D. Fitz Gerald (2011). Magnetotactic bacterial abundance in pelagic marine environments is limited by organic carbon flux and availability of dissolved iron, Earth and Planetary Science Letters (in press), doi:10.1016/j.epsl.2011.08.011. J.A. Collins, E. Schefuß, D. Heslop, S. Mulitza, M. Prange, M. Zabel, R. Tjallingii, T.M. Dokken, E. Huang, A. Mackensen, M. Schulz, J. Tian, M. Zarriess and G. Wefer (2011). Interhemispheric symmetry of the tropical African rainbelt over the past 23,000 years. Nature Geoscience 4, 42-45, doi:10.1038/ngeo1039. D. Heslop, S. De Schepper and U. Proske (2011). Diagnosing the uncertainty of taxa relative abundances derived from count data. Marine Micropaleontology, 79, 114-120, doi:10.1016/j.marmicro.2011.01.007. D. Heslop and A. Paul (2011). Can oceanic paleothermometers reconstruct the Atlantic Multidecadal Oscillation? Climate of the Past, 7, 151-159, doi:10.5194/cp-7-151-2011. A.R. Muxworthy and D. Heslop (2011). A Preisach method to estimate absolute paleofield intensity under the constraint of using only isothermal measurements: 1. theoretical framework. Journal of Geophysical Research, 116, B04102, doi:10.1029/2010JB007843. A.R. Muxworthy, D. Heslop, G.A. Paterson et al. (2011). A Preisach method to estimate absolute paleofield intensity under the constraint of using only isothermal measurements: 2. experimental testing. Journal of Geophysical Research, 116, B04103, doi:10.1029/2010JB007844. G. A. Paterson, D. Heslop and A. R. Muxworthy (2010). Deriving confidence in palaeointensity estimates. Geochemistry, Geophysics, Geosystems, 11, Q07Z18, doi:10.1029/2010GC003071. S. Mulitza, D. Heslop, D. Pittauerova, H. W. Fischer, I. Meyer, J.-B. Stuut, M. Zabel, G. Mollenhauer, J. A. Collins, H. Kuhnert and M. Schulz (2010). Increase in African dust flux at the onset of commercial agriculture in the Sahel region. Nature, 466, 226-228. doi:10.1038/nature09213. A. Bamberg, Y. Rosenthal, A. Paul, D. Heslop, S. Mulitza, C. Ruhlemann and M. Schulz (2010). Reduced North Atlantic Central Water formation in response to early Holocene ice-sheet melting. Geophysical Research Letters, 37, L17705, doi:10.1029/2010GL043878. S. Rauch, B. Peucker-Ehrenbrink, M. Kylander, D. Weiss, A. Martínez-Cortizas, D. Heslop, C. Olid, T. Mighall and H. Hemond (2010). Anthropogenic forcings on the surficial osmium cycle. Environmental Science & Technology, 44(3), 881-887, doi:10.1021/es901887f. C. M. Köhler, D. Heslop, W. Krijgsman and M. J. Dekkers (2010). Late Miocene paleoenvironmental changes in North Africa and the Mediterranean recorded by geochemical proxies (Monte Gibliscemi section, Sicily). Palaeogeography, Palaeoclimatology, Palaeoecology, 285, 66-73, doi:10.1016/j.palaeo.2009.10.025. D. Heslop (2009). Statistical analysis of the rock magnetic S-ratio. Geophysical Journal International, 178(1), 159-161, doi:10.1111/j.1365-246X.2009.04175.x. A.R. Muxworthy, D. Heslop and D.M. Michalk (2009). Thermal fluctuation fields in basalts. Earth Planets Space, 61, 111-117. Z. Gong, M.J. Dekkers, D. Heslop, T.A.T. Mullender (2009). End-member modelling of isothermal remanent magnetization (IRM) acquisition curves: a novel approach to diagnose remagnetization. Geophysical Journal International, 178(2), 693-701, doi:10.1111/j.1365-246X.2009.04220.x. A. C. Itambi, T. von Dobeneck, S. Mulitza, T. Bickert and D. Heslop (2009) Millennial-scale North West African droughts relates to H-Events and D-O cycles: Evidence from marine sediments from off-shore Senegal. Paleoceanography, 24, PA1205, doi:10.1029/2007/PA001570. C. Franke, Y. Fu, D. Heslop and T. von Dobeneck (2009). Data report: natural remanent magnetization of IODP Holes U1319A, U1320A, U1322B, and U1324B and magnetic carrier identification by scanning electron microscopy. In Flemings, P.B., Behrmann, J.H., John, C.M., and the Expedition 308 Scientists, Proc. IODP, 308: College Station, TX (Integrated Ocean Drilling Program Management International, Inc.). doi:10.2204/iodp.proc.308.209.2009. P. D. Clift, K. V. Hodges, D. Heslop, R. Hannigan, H. V. Long and G. Calves (2008). Correlation of Himalayan exhumation rates and Asian monsoon intensity. Nature Geoscience, 1, 875-880, doi:10.1038/ngeo351. C.M. Köhler, D. Heslop, M.J. Dekkers, W. Krijgsman, .J.J. van Hinsbergen and T. von Dobeneck (2008). Tracking provenance change during the late Miocene in the Eastern Mediterranean using geochemical and environmental magnetic parameters. Geochemistry, Geophysics, Geosystems, 9, Q12018, doi:10.1029/2008GC002127. Y. Fu, T. von Dobeneck, C. Franke, D. Heslop and S. Kasten (2008). Rock magnetic identification and geochemical process models of greigite ormation in Quaternary marine sediments from the Gulf of Mexico (IODP Hole U1319A). Earth and Planetary Science Letters, 275(3-4), 233-245, doi:10.1016/j.epsl.2008.07.034. U. Proske, D. Heslop and T. J. J. Hanebuth (2008). Salt production in pre-Funan Vietnam: archaeomagnetic reorientation of briquetage fragments. Journal of Archaeological Science, 36, 84-89, doi:10.1016/j.jas.2008.07.012. D. Heslop (2007). Are hydrodynamic shape effects important when modelling the formation of depositional remanent magnetization? Geophysical Journal International, 171, 1029-1035, doi:10.1111/j.1365-246X.2007.03588.x. D. Heslop (2007). A wavelet investigation of possible orbital influences on past geomagnetic field intensity. Geochemistry, Geophysics, Geosystems, 8, Q03003, doi:10.1029/2006GC001498. D. Heslop and M. Dillon (2007). Unmixing magnetic remanence curves without a priori knowledge. Geophysical Journal International, 170(2), 556-566, doi:10.1111/j.1365-246X.2007.03432.x. D. Heslop, von Dobeneck, T. and M. Höcker (2007). Using non-negative matrix factorization in the unmixing of diffuse reflectance spectra. Marine Geology, 241, 63-78, doi:10.1016/j.margeo.2007.03.004. D. Heslop (2005). A Monte Carlo investigation of the representation of thermally activated single-domain particles within the Day plot. Studia Geophysica Geodetica, 49, 163-176, doi:10.1007/s11200-005-0003-7. D. Heslop and A.R. Muxworthy (2005). Aspects of calculating First-Order Reversal Curve distributions. Journal of Magnetism and Magnetic Materials, 288, 155-167, doi:10.1016/j.jmmm.2004.09.002. A.R. Muxworthy, J. King, J. and D. Heslop (2005). Assessing the ability of First-order-reversal-curve (FORC) diagrams to unravel complex magnetic signals. Journal of Geophysical Research, 110 (B1), B01105, doi:10.1029/2004JB003195. D. Heslop, G. McIntosh and M.J. Dekkers (2004). Using time- and temperature-dependent Preisach models to investigate the limitations of modelling isothermal remanent magnetization acquisition curves with cumulative log Gaussian functions. Geophysical Journal International, 157, 55-63, doi:10.1111/j.1365-246X.2004.02155.x. A.R. Muxworthy, D. Heslop and W. Williams (2004). Influence of magnetostatic interactions on First-Order Reversal Curve (FORC) diagrams: a micromagnetic approach. Geophysical Journal International, 158, 888-897, doi:10.1111/j.1365-246X.2004.02358.x. D. Heslop and M.J. Dekkers (2002). Spectral analysis of unevenly spaced climatic time series using CLEAN: signal recovery and derivation of significance levels using a Monte Carlo simulation. Physics of the Earth and Planetary Interiors, 130, 103-116, doi:10.1016/S0031-9201(01)00310-7. D. Heslop, M.J. Dekkers, P.P. Kruiver and I.H.M. van Oorschot (2002). Analysis of isothermal remanent magnetisation acquisition curves using the expectation-maximisation algorithm. Geophysical Journal International, 148, 58-64, doi:10.1046/j.0956-540x.2001.01558.x. D. Heslop and M.J. Dekkers and C.G. Langereis (2002). Timing and structure of the Mid-Pleistocene Transition: records from the loess deposits of Northern China. Palaeogeography, Palaeoclimatology, Palaeoecology, 105, 133-143, doi:10.1016/S0031-0182(02)00282-1. P.P. Kruiver, M.J. Dekkers and D. Heslop (2001). Quantification of magnetic coercivity components by the analysis of acquisition curves of isothermal remanent magnetisation. Earth and Planetary Science Letters, 189, 269-276, doi:10.1016/S0012-821X(01)00367-3. D. Heslop, C.G. Langereis and M.J. Dekkers (2000). A new astronomical time scale for the loess deposits of Northern China. Earth and Planetary Science Letters, 184, 125-139, doi:10.1016/S0012-821X(00)00324-1. T.C. Partridge, A. Latham and D. Heslop (2000). Magnetostratigraphy of Makapansgat, Sterkfontein, Taung and Swartkrans. In: The Cenozoic of southern Africa, 126-129. T.C. Partridge, J. Shaw and D. Heslop (2000). Note on recent magnetostratigraphic analysis in Member 2 of the Sterkfontein formation. In: The Cenozoic of southern Africa, 129-130. D. Heslop, J. Shaw, J. Bloemendal et al. (1999). Sub-Millennial scale variations in East Asian monsoon systems recorded by dust deposits from North-Western Chinese Loess Plateau. Physics and Chemistry of the Earth A, 24(9), 785-792, doi:10.1016/S1464-1895(99)00115-5. T.C. Partridge, J. Shaw, D. Heslop and R.J. Clarke (1999). The new hominid skeleton from Sterkfontein, South Africa: age and preliminary assessment. Journal of Quaternary Science, 14(4), 293-298, doi:10.1002/(SICI)1099-1417(199907)14:4<293::AID-JQS471>3.0.CO;2-X.